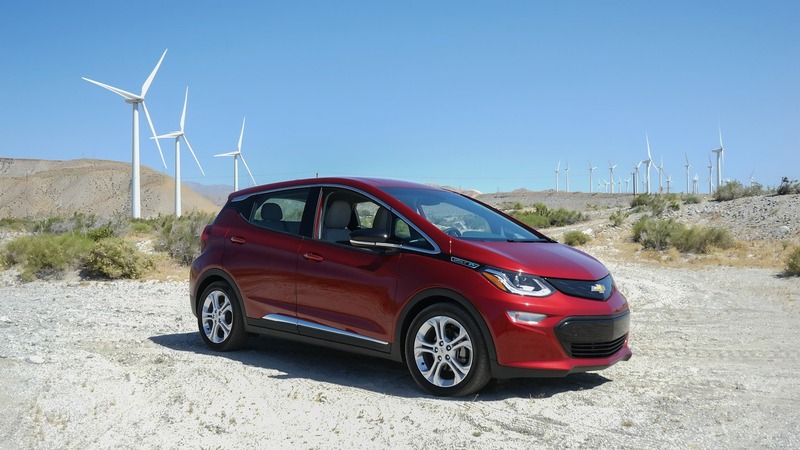 What Can Tesla Learn From Chevy Bolt Production Ramp? There has been a lot of talk about what the fate of Tesla will be when the big legacy automakers start producing EVs in earnest. With their century of experience and established production lines, they will roll over Tesla. They will show how real carmakers take a new model through production. The good news: We can actually compare Tesla to a very experienced carmaker bringing a comparable electric car to production. 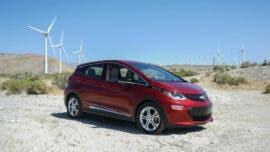 I am talking of course about the Chevy Bolt from GM. Only, in this case, it is not the big experienced carmaker with lots of cash that thrashes Tesla — it is the other way around. While still struggling to get production bug free, Tesla already delivers more electric cars to customers than GM. And it is not because there is no demand for the Bolt. There are tens of thousands prospective Chevy Bolt customers in Canada, South Korea, and Europe, but, unfortunately, GM cannot deliver. In July 2017 at its “start of production,” Tesla was probably in the same place as GM was in March 2016 when it started Bolt pre-production. The production equipment was installed, the suppliers could deliver the parts, the workers had to be trained, and the equipment configured. It took GM nine months to deliver the first batch of Bolts to customers and GM was praised for delivering a great car. It took Tesla about six months to deliver the first batch to customers, and the critics had a field day. The talks of failure and broken promises filled the airwaves. Putting the path to production side by side should make comparison easy. Tesla receives 467 Kuka robots for the Model 3 assembly line. Physically building the assembly line, placing the robots in place. Start hiring new workers for the Model 3 production line. 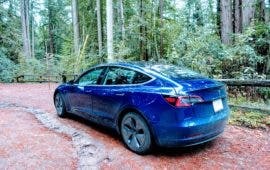 Tesla “Start of production of Model 3” and delivery of first 30 models. This is more like GM pre-production or even an earlier phase. In reality this is the start of configuration and validation of the production line and the received parts. New labor is being hired and trained. As a by-product of this process some cars are assembled. The dreaded “One supplier dropped the ball” problem becomes reality. In the battery assembly in Reno at the Gigafactory, two of the four assembly modules are not working as expected. They have to be replaced by newly designed equipment. This will take 6-9 months. Tesla keeps configuring the car assembly line. The failing battery assembly modules in Reno are augmented by manual labor to get enough battery packs to keep the workforce in Fremont busy with the assembly line. Deliveries to employees slowly increase. Sep 2016 GM has ample Bolt models for test drives by journalists. December 2017 First reviews from bloggers and journalists. Start of production of the Chevy Bolt at the Sirius plant. Targeted yearly rate of 25,000 vehicles which should be enough for domestic and foreign demand. Even export to China is possible. Most of the assembly line works as designed. Start of low-volume production for customers. Last seven days average production over 100 cars per day, which would mean 36,500 cars per year if extrapolated that long. The first 579 Bolts are delivered. Production reaches 100 per day. December 2017 First deliveries to non-employees. After 7 months of production + 6 months of pre-production, GM Bolt is officially available nationwide, although some dealers lack inventory. After 7 months of (pre)production, deliveries nationwide. Tesla Model 3 outsells the Chevy Bolt. Model 3 production steady over 1,000 per week and higher than the Chevy Bolt production. But Tesla is still in building assembly line phase due to the battery assembly problems. If worst problems in the battery assembly are solved by new assembly lines built by Tesla Grohmann Advanced Automation, planned ramp of assembly line can be resumed. Half a year delay because of Tesla’s lack of QA on a supplier on the battery assembly. Sales keep climbing in the USA. But GM not able to meet demand abroad. MY 2018 changes are very small. Sales keep climbing in the USA. But not able to meet demand abroad. Start production AWD and SR models. Tesla clearly does not have a production scaling problem. It accomplished in six months what GM did in nine months. The PR debacle was purely badly managed expectations and a communications problem. Musk took a big risk by calling the start of Model 3 assembly line configuration start of Model 3 production. In the future, Tesla should only create the hype about their products, but stay mute on the timelines.